If you've added larger tires to your truck or SUV, you may have noticed that you get a little more mud splatter & chips than stock. 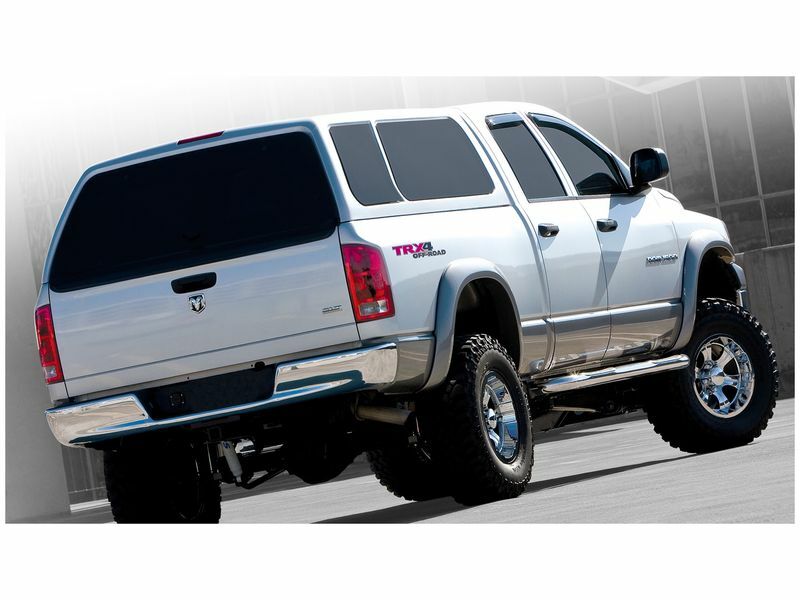 You should consider a set of Bushwacker Extend-A-Fender flares for your vehicle. These fender flares are a great addition to add style, and improved tire coverage. All Bushwacker Extend A Fender Flares are constructed of 100% UV resistant Dura-Flex thermoplastic material that is extremely flexible and durable to prevent cracking or warping. Bushwacker fender flares all come finished with a sleek matte black finish that can be custom painted if you want your fender flares to match your paint. 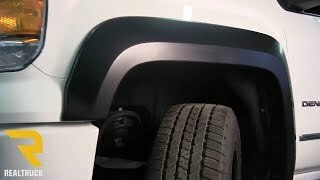 This unique line of fender flares adds style and protection, with a clean factory installed look that can be added in minutes. Bushwacker Extend-A-Fender flares are made in the USA and will give your pickup truck or suv that "limited edition" look but at the price of aftermarket fender flares. Your new fender flares can be installed right at home in your own garage. No special tools are required since the custom design uses factory holes and there is no need for cutting or drilling to get the best look and fit. The installation instructions will be clear cut and easy to read & follow along. For additional information or if you have any questions, please call us toll free at 1-877-216-5446 or 701-253-5906.